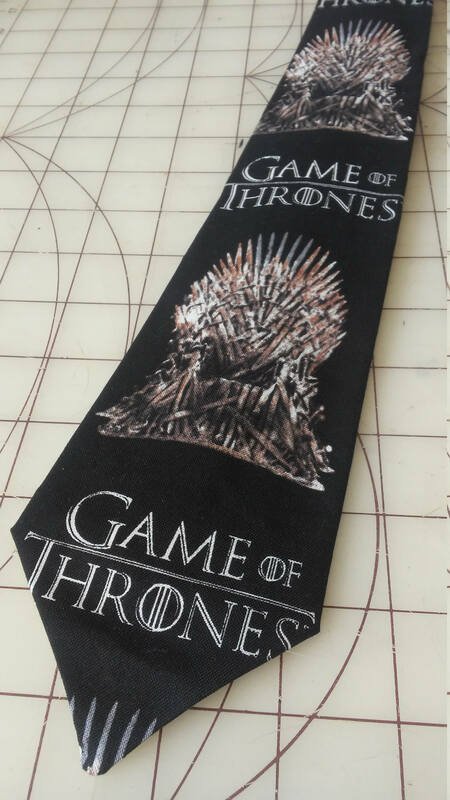 Game of Thrones Necktie in bow tie and standard tie styles. Great for any fan. Adult bow tie is self-tie, sized to 16.5", custom length available at no charge. Matching pocket squares are made to order, please allow additional time.